When Caden runs into Kevin one night on the El train, he figures it’s fate offering him a second shot. Caden manages to get invited back to Kevin's place for a one-night stand that turns into the kind of relationship he’s dreamed about. For the first third of Chaser, I had the warm and fuzzies, felt the romance was a bit instantaneous between Caden and Kevin, but found it to be a comforting, easy read. Generally, those types of stories don't hold my attention for long, but it sure did take a swift exit to frustrating angsty town. Caden is a chubby-chaser, but I don't really believe it's the size that is the draw. With a superficial bestie – Bobby – I think a larger man gave Caden the warm and fuzzies, not the lusties, because the fella would make him feel safe. Especially as the son and brother to two bigger ladies. Brawny Kevin felt like home. As a slightly overweight fella, Kevin is insecure, but it doesn't infect any part of his life. He's just amazed a trim and fit Caden wanted anything to do with him. Unforeseeable circumstances have the budding couple apart for six weeks, aside from long-distance communication. Kevin takes this opportunity to become fit, hoping it will keep Caden's interests. This is the first exit to frustrating angsty town, and I gobbled it up. 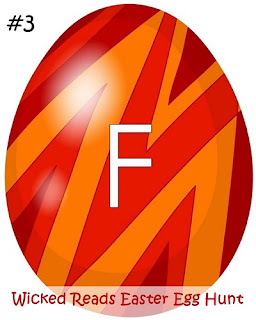 Without giving the plot away, we enter miscommunication central – but, for once, it truly fit the story, added several layers of frustration, and had me white-knuckling my Kindle while furiously clicking the pages. Admittedly, I was even skim-reading, but not like usual (where I'll skim unnecessary, inane details) I just wanted to know what happened next that f'n badly. Needless to say, I was hooked. I felt Kevin's actions/reactions, which I'm sure many readers will think pushes him into the cheater category, were true-to-life for a person who had just lost a lot of weight, yet is still in the chubby mindset, added on top of how naive the former larger person is when it comes to dating, since they were in the shallow pool before. On to the next book in the bundle – however, I'm hooked, so now I have to add the sequel to Chaser on my soon-to-be-read list. Highly recommend for fans of frustrating ANGST, Rick R. Reed, books with larger characters, and MM romance. This is a really good read, and I am looking forward to getting hold of the next book in the series, as I am curious as to which direction it will take. The blurb gives you a good idea of the subject matter, but there are some great twists which I have no intention of revealing either! Mr. Reed's writing is rich, but not overly descriptive. I love the stages that Kevin goes through as a new runner – but I am still not tempted to make it part of my exercise regime. The use of size as an issue, and the irony of Kevin doing a good thing, but Caden being disappointed is really thought provoking. After all, everyone has some body part insecurities and refuses to believe anyone who says they like that very part. We are contrary beings! So, this story is not just a super-hot read, but a thoughtful commentary on how beauty is in the eye of the beholder. 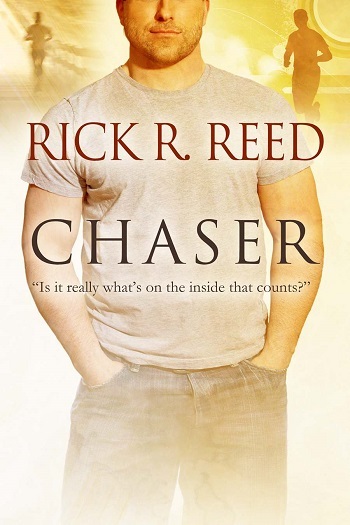 Reviewers on the Wicked Reads Review Team were provided a free copy of Chaser by Rick R. Reed in the Feel-Good True Romance Bundle to read and review. Thanks so much for making my day! In honor of your review, I just downed two waffles with real maple syrup and three slices of Applewood smoked bacon. This has got to be one of the best comments ever! And I am seriously jealous. And hungry.